I remember when I got my first set with the new colors – it was set 4492, Mini Star Destroyer . When I started building it I was shocked to find the colors of grey were different! 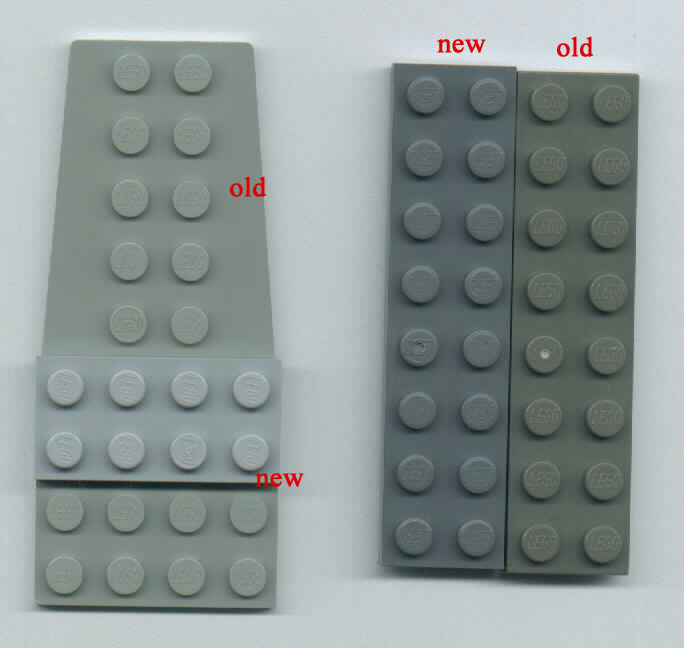 What really makes me feel old is that a 12-year-old building with LEGO today was born after this change had taken place and has likely never even seen the colors simply known as Light Grey and Dark Grey. Yeah, those old colors look kind of “muddy” compared to the brighter colors. It’s like they’re begging to be cleaned and brightened with OxyClean, like one would do with dull/faded White and Blue parts. I rarely use Light (“Stone”) Grey and Dark Grey parts in MOCs unless they are buried deep in the model, out of view. To me, they look bad in comparison with the newer parts. Actually the “Stone” term applies to the new colors, not the old ones.